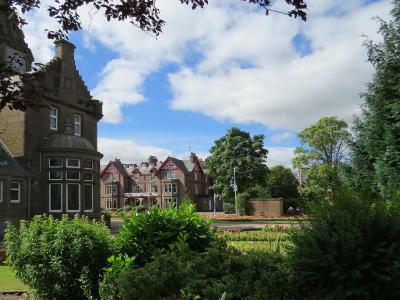 Lock in a great price for Glenesk Hotel - rated 9.1 by recent guests. Really friendly staff. Did everything to make my stay as pleasant as possible. Homely large rooms with a traditional Scottish feel without being teeedy. Efficient and helpful staff. Special mention to Marian who was super attentive without being intrusive and the barman in the bar - this guy knows his whisky! Golf course backs onto the hotel. Location is perfect for visiting the Angus glens (the highlands without being overrun by tourists). Everything was great after a long trip. I will look to stay again. 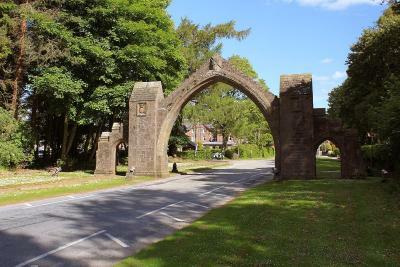 The staff were amazing, the facilities were excellent, the food was delicious and the room was excellent and spacious. This my second time here and the food is excellent,menu choice is very wide and presentation is spot on. Friendly and efficient staff, great facilities, food excellent and all round friendly place. Lovely stay. Staff were really lovely, beautiful Victorian hotel - great that it is open and clearly bringing people to the area. Pool is very nice. Sitting by the fire in the evening was a treat. Lovely friendly staff, comfortable surroundings and food was fantastic. Staying again in a few weeks and really looking forward to it. Staff were friendly and helpful. Meals were very good. Though we didn't use the bathroom and other accessories they were well provided. In the beautiful Scottish village of Edzell, boasting a sauna, a gym and a swimming pool, this hotel is situated at the foot of the Angus Glens. Guests at Glenesk Hotel can enjoy free WiFi and free parking on site. The hotel offers a transfer service to and from many destinations including Aberdeen, Dundee, Glasgow and Edinburgh airports. Rooms at Glenesk are traditionally furnished, and each has pretty views and an en suite bathroom with free toiletries. Features include a flat-screen TV and tea and coffee making facilities. Fairways Restaurant and Golf View Cafe Bar has been awarded the Visit Scotland “Taste our Best” and offers Scottish Menu. All produce is locally sourced. A full Scottish breakfast and buffet are available. 360 Degree Bar in the Glenesk Hotel, the Guinness World Record holder for ‘The most varieties of whisky commercially available’, offers over 1000 malts, 200 gins, 80 rums, 70 vodkas and selection of local ales. 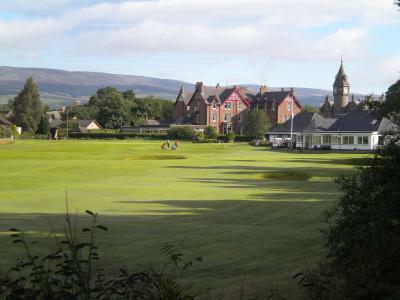 Guests can enjoy discounts at the adjoining Edzell Golf Club which has two 18 and 9 hole courses. The first tee less than a minute's walk from the garden through the hotel’s own private entrance. Surrounding the property there are opportunities for fishing, shooting and there are also a number of whiskey distilleries. 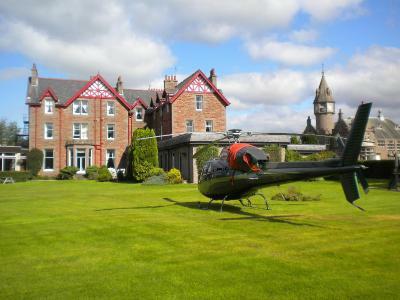 Glenesk Hotel has been welcoming Booking.com guests since 9 May 2012. When would you like to stay at Glenesk Hotel? Features include an en suite bathroom, Freeview TV, and tea and coffee making facilities. Guests get free use of the leisure club, with a swimming pool, hot tub, and sauna. House rules Glenesk Hotel takes special requests - add in the next step! Glenesk Hotel accepts these cards and reserves the right to temporarily hold an amount prior to arrival. Water pressure in the shower was poor and the availability of hot water was hit and miss. Facilities were excellent. Staff very helpful and friendly. Food was fantastic. Whisky bar was something else if you are a whisky lover. Highly recommend this hotel and will definitely return in the future. The 'gym' was not great, old equipment, didn't look the most safe, I would suggest removing it completely. The shower pressure was very poor. 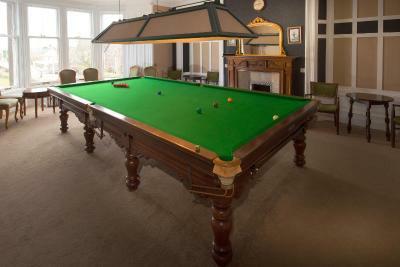 Some noise from the billiards room next door, but a minor irritation. Fresh fruit salad would be a tasty addition to an othehotelrwise good breakfast and perhaps cream with the porridge.